The worst case scenario was that the album would be bad – that he relied too much on his former band mates for musical inspiration. But nobody had to worry. McCartney really was a fantastic songwriter in his own right and he needed those three other clowns for NOTHING!!!!! … In fact, McCartney wanted to prove that to the world, so immediately after the Beatles were through, he got to work on his first solo album. He didn’t care so much what was on it; he wanted to release the first post-Beatles solo album to prove that he was the decision-maker of the group. (Ringo ended up beating him by three weeks with Sentimental Journey.) …Yeah those four guys were messed up! Pretty much the whole album is filler… That's one thing that most of the critics have right when assessing this work. But what filler it is!! Some musicians might struggle their whole career and never come up with an album that’s half this good. There was one hit song, “Maybe I’m Amazed,” and the remainder of the songs were Beatles leftovers, half-witted bluesy numbers, weird tributes to his wife and whatever else he could think of at the time. If he was going to get this solo album out as quickly as possible, he wasn’t going to have time to bother with production, so he pretty much recorded everything at home. Heck, he didn’t even have the time to assemble musicians, so he played all the instruments himself (which is a very impressive feat)! The result is a sloppy though melodic and frequently entertaining mess. “The Lovely Linda” is a genuine 45-second jingle that contains more melody than most pop stars can muster for a five-minute song. “Every Night” has a sweet melody and the homemade quality accents the charm of it. “Hot as Sun / Glasses” contains a melody he wrote before the Beatles even existed… and it’s catchy and instantly memorable! “Junk” is an extremely sweet song that I’m sure he wrote he wrote it ripe with determination that he *had* to get this album finished as quickly as possible… and it’s a gem! He repeats it again as a sort of cinematic track with “Singalong Junk.” It’s fair to criticize the fillery nature of doing a single song twice on an album, but that has such a great melody I don’t mind at all. “Teddy Boy” was meant as a Beatles song, but I guess it was never recorded by them because it doesn’t sound too Beatlesesque! It’s a moderately catchy tune that’s a bit choppy and stiff. When it’s all said and done everything on this album is good! The one exception is that experimental closer, “Kreen-Akore.” It’s just a bunch of weird, uninteresting ideas, and the end of it contains Paul busily drumming and breathing heavily into the microphone. It’s an early hint that, even though Paul loved his experimentalism, he just wasn’t that good at it. All in all, however, I can’t imagine why anyone would hate this. Perhaps it’s out of sheer jealousy that McCartney is one of the few musicians in the world who can make an album this good without really trying. Heck, I couldn’t!! Prepare yourself for some insufferable fan worship: I like this album more than most Beatles albums, which is a position that I’m sure will be met with its fair share of upturned eyebrows! But it’s true… Ram is an utterly charming album filled to the brim of great melodies and creative ideas. It’s homely (and homemade) and tons more modest than any Beatles album. I’m pretty certain that I’ve even listened to Ram more than I’ve heard any single Beatles album, and ever since I first heard it in 2002 it gets heavy rotation to this day (2007). I can’t believe how many horrible reviews I read of this album… The one published by Rolling Stones goes to show how little they understand music. They call it inconsequential and too lightweight --- something that supposedly devalued his previous work with The Beatles and the music of the 1960s in general. Of course, that’s nonsense. The Beatles were just a rock band, after all… Also, somehow the fact that McCartney was the most melodically gifted member of that four-some escapes some reviewer’s mindsets. YES, THIS IS THE SAME GUY WHO WROTE “LADY MADONNA,” AND HE STILL HAS IT!!! Other reviewers tend to claim that the album contains “filler.” Some have even called it all “filler.” This is also utter hogwash. 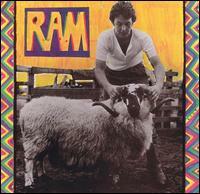 McCartney was the filler... Ram, while retaining a similar sound, is a much more fully realized product. Even with the homemade feel of it, all these tracks are intricately produced and heavily melodic. Everything’s a masterpiece; everything’s a gem. Don’t change a thing about it! For the love of pete if you don’t believe me, listen very closely to the album closer “Back Seat of My Car” and try to convince me that it’s throwaway. Hear how it develops… how expertly McCartney almost turns it into a cinematic soundtrack at a few points and its rock ‘n’ roll conclusion. The development is fantastic, varied and utterly flawless. Listen to it very closely. It might seem like lightweight hooey on the outside, but it’s very polished. It’s not over-produced in the slightest, which is probably where the confusion sets in. That’s just one example of the quality of songwriting present on Ram. Everything else (including, even, the critically overlooked “Ram On”) follows suit. Just because McCartney decided not to drench his songs with utter pretentiousness and aimless electric guitar solos doesn’t make it filler! He’s going more for a lighthearted and modest approach, which is something I endorse fully. Something, in retrospect, The Beatles should’ve done more often. I don’t want to go too much in detail about all the tracks since I’m prone to rant (read the track reviews), but I should certainly make some blanketed statements about them. The big hit of the album was obviously “Uncle Albert / Admiral Halsey,” and why not? A sprawling masterpiece with more solid melodic ideas than most pop artists can make for a whole album. I never grow tired of listening to that song; it’s just as enjoyable to hear the first time as it is the last. “Monkberry Moon Delight” is as delightful as the song title makes it sound… a throwback to the Beatles’ psychedelic era. “Heart of the Country” is just as homely and charming as it sounds. It’s folksy, and it doesn’t fail to put a smile on children’s faces! … And I’m going to stop there. I wrote too much. Read the track reviews for more details. To conclude this hopelessly obvious fan-rant, this is an utter triumph of composing! One of the greatest albums of all time!! This marks the beginning of Wings even though it’s pretty much universally understood that it’s really just a cute name for McCartney’s solo career. 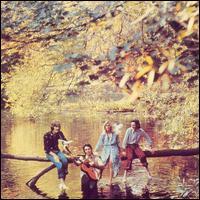 Well, Denny Laine was the lead guitarist and the only static member of the group apart from Paul and his wife. I suppose this new collaborative environment meant that McCartney didn’t personally work on it nearly as hard as he did on his stellar Ram. The arrangements aren’t nearly as polished an intricate and there are way fewer melodies and innovative ideas. It’s a big step down from Ram on nearly all faces. Even when you factor in the expectancy that any follow-up album would pale, it’s a pretty significant step down. Though naturally, it being the early ‘70s and Paul McCartney, you’ve got to expect that it remains an all-around good album. The melodies are McCartnian, after all. Oh, but how insignificant some of these songs are! They embody what many reviewers were chastising Ram for: Throwaway and trivial. It’s even worse than McCartney, which he tossed off quicker than a Roger Corman movie! 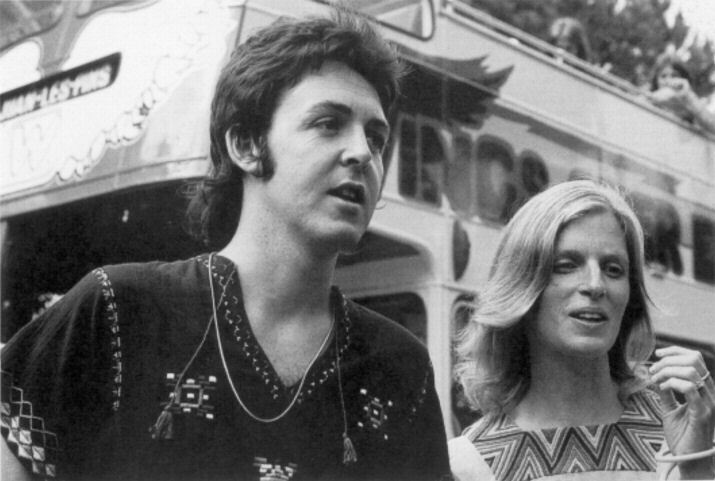 … Something bad happened in McCartney’s world for Wild Life to turn out this complacent. The album opens with “Mumbo,” a nice rock groove and a fun lead vocal performance (a take-off on Lennon’s vocal styling from “Mother”). It’s really nothing more than that, but I enjoy it at least! Another Lennon-related track is the stellar “Dear Friend,” which features not just a good melody but very heartfelt lyrics. Surely, that’s the highlight of the album. “Bip Bop” is a take-off on country-bumpkin music and really has a tendency to annoy me. “Love is Strange” starts out as a reggae-ish groove, but turns out to be a solid cover of a Micky & Sylvia 1957 hit. I very much enjoy the melody on “Tomorrow.” It’s another sweet and unpretentious song that seems to embody McCartney’s signature default mode (that’s better than being ugly and depressing like Neil Young, I say). The title track is a six-minute animal rights bit… Forgive him for the lyrics and concentrate on the catchy melody and remarkably soulful vocal performance! I have no doubts that the worst song in the album is “I Am Your Singer.” It’s somehow more trite sounding than even “Bip Bop,” and the instrumentation is also rather uninspired. Though considering that song isn’t bad just goes to show that Wild Life is actually a *good* album even though I understandably tended to focus on the negatives. Yeah, it’d be awhile before McCartney would actually start sucking. The bonus tracks are definitely worth hearing. “Give Ireland Back to the Irish” might be a protest song, but at least the melody is catch! Even better, “Mary Had a Little Lamb” is a sweetly melodic rewrite of the old nursery rhyme. Sure, it’s corny, but that’s the point. I also adore the utterly sentimental ballad “Mama’s Little Girl.” Geez, if you still think McCartney didn’t care about his music, ever, then you haven’t heard that one. It’s so charming! More hits, developed ideas, catchy melodies and creativity than Wild Life, which of course means this is another stellar Paul McCartney album! It still leaves something to be desired compared to Ram, but pretty much everything does. 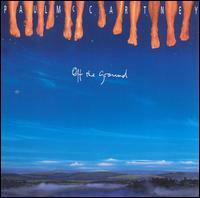 In the end, this is another one of Paul’s (AKA Wings’) classic albums. And he was back to writing massive hit singles. “My Love” is a very sweet tune and Wing’s #1 hit single in America. Some might rightly criticize it for sounding too saccharine sweet with those strings, but you’d have to be a complete dork to deny that the melody is wonderful. Though the album’s purest gem inarguably belongs to the six-minute masterpiece “Little Lamb Dragonfly.” That’s such a touching tune with wonderful (darker) instrumentation… Quite possibly the best song McCartney released until this point unless you prefer the subtle creativity in any Ram song. It’s hard to deny that it would’ve highlighted any Beatles album. Yeah, it’s that high of a quality! The closing track is a four-song medley that calls into memory the ending suite in Abbey Road. There really wasn’t a need for this medley (the songs don’t transition that well into each other), but at least there’s more good tunes there than most pop stars can dream of mustering up. “Big Barn Bed” is a wholly decent and melodic opener, but I would’ve preferred something more unusual instead of the typical rock combo! Oh well… these good melodies overpower everything else. Middle-of-the-road stuff like “Get on the Right Thing” and “When the Night” is pleasant enough to listen to, but they’re keeping this album from achieving more significant stature. Again, something tells me Paul wasn’t tapping into his creative juices like he could have… Though give him credit for trying out Pink Floyd style prog-rock for a change, “Loup (1st Indian on the Moon).” He’s not that convincing at it, but at least the song is listenable enough. I’ve got to appreciate the effort at least. 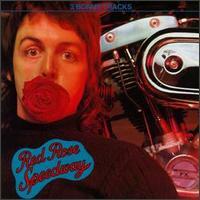 So this is another lovely Paul McCartney album… You should definitely own it someday. 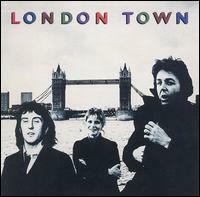 Paul McCartney notoriously took his band to Nigeria to record this album (for whatever weird reason) prompting most of the band to quit … except for Linda, of course, and the ever-faithful Denny Laine. Though that wasn’t the end of the nightmares! As soon as he got there, he had everything stolen from him --- the musical instruments, recording equipment and even the papers in which he wrote the music. Not letting it phase him, he remembered the music, got new equipment and stayed in Africa! Who knows what happened --- perhaps the process of the horrible situations (heightening one’s artistic ambitions) and having to rewrite his own music made Band on the Run what it is; a truly fantastic album and one of the best released in the 1970s! 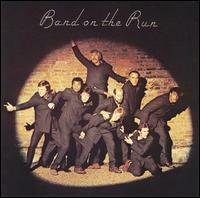 Alright, it doesn’t strike me quite as fantastically as Ram, a triumph of composition and creativity, but Band on the Run is a pop-rock masterpiece in its own right. “Mrs. Vanderbilt” is a personal favorite of mine with its bouncy nature and pounding bass-line. Of course, the melody is catchy as hell, too!! Many people enjoy “Let Me Roll It” to pieces, but I’ve never been incredibly moved by it. Still, it’s as convincing a blues-rock tune that McCartney had ever done, and it proves that he can sound comfortable doing just about anything! (Hey, haven’t you heard? McCartney does other things than soft rock! Duh!!!) “Mamunia” is a great success at combining African music with his own sound… though that’s also of the album’s weakest spot. (If only all albums… etc.) Jumping to the end, “Nineteen Hundred And Eighty Five” is a hard-driving futuristic rocker that contains one of the most alarming moods of McCartney’s whole career… Hard to imagine that anyone would dislike Wings after delving into that one the first time… Even skeptics. If there are still people who haven’t come to their senses. Easily, it’s one of the most exciting things he’d ever done! After releasing that one album, Band on the Run, Paul McCartney went back to the recording studio (in a normal country this time) and came up with this notable follow-up. ... As it is with most follow-ups to both popular and artistically fantastic albums, this one pales in comparison, but ... I'll be crapped if this album still isn't good! Maybe because Paul McCartney thought he was artistically immortal, this is probably his most "artistic" album of his solo career along with Ram. McCartney certainly put a lot of effort into fitting these songs together ... maybe trying for a rock symphony. Well, this ain't no rock symphony, but just a bunch of unrelated songs strung together in, what it would seem, a random order. But these are delightful songs! They're not as great as the ones on Band on the Run, of course, but he sure put a lot of effort into 'em. Not only are all of them catchy, but they're all fully baked. … This isn't another case of McCartney having tons of good melodic ideas and then just seeming to toss them onto a record without really caring. These songs are fully developed and, despite their tendency to be generic, quite entertaining. As you may be aware already, this is the album where Paul let his band members write and sing some of the songs. As you might guess, the best songs are the ones he just does alone. "Let 'Em In" is an entirely solid album opener, "Beware My Love" is highly creative and "Silly Love Songs" is a fluffy charmer and probably the album highlight. I can't say that the other band members write horrible songs. 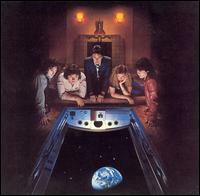 Denny Laine writes a decent bluesy song "Time to Hide" although it seems very out of place. "Wino Junko" was written by other band members, but that's an altogether decent effort. Linda McCartney even sings lead vocals for "Cook of the House," which is a trite song and her sloppy and weak vocals certainly don't do it any favors. (As a back-up singer, Linda always gave the song a nice and unique touch ... but she shouldn't be singing lead.) Paul is such a good singer that his voice is missed everywhere he's absent. Well, the album isn't a total waste, because it still has some great singles on it. 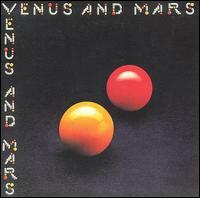 But compared to the work he did previously on Venus and Mars and Band on the Run, this is a serious let down. After McCartney's disappointing 1976 release Wings at the Speed of Sounds, he recoils with this utterly solid pop album that's fit for all seasoned fans of this ex-Beatle. This is quite an improvement over the previous Paul McCartney/Wings effort Wings at the Speed of Sound, which just contained too much filler material for taste. Also, he axed his decision to let the other members of the band contribute to the songwriting and write all the material himself. That's only a complete benefit, because as we all know, McCartney has always been one of rock 'n' rolls greatest songwriters. He proves this reputation all throughout this rather huuuuge album. (It contains 14 tracks, and then two bonuses, which comes to a grand total of 1.0 hours.) But it's chock full of happy melodies, diverse tunes and just more great memories. It's hard to pick a favorite song here. "With a Little Luck" has a happy vibe of a White Album-era Beatles tune (if it weren't so straitlaced in the production techniques, that is) and "Deliver Your Children" is just a fabulous folk-pop tune with one of McCartney's better vocal performances. "Famous Groupies" is notable for being an old-style gypsy folk tune with a catchy melody and a very fun vocal performance. The title track, and the album opener, is entirely pleasant and brings the effort off to a solid start. His attempt at arena rock with "I've Had Enough" beats most efforts from bands such as Journey and Foreigner, and "I'm Carrying" is such a lovely British folk song. Every moment of the album was a good one (it is noticeable that every song received an 8 or higher) ... apart from perhaps "Backwards Traveller," which seems too short, it amazes me why so many people say that McCartney only writes filler material during his post-Beatles career. I listen to this album, and I think they must be smoking something smelly. Even the two bonus tracks are keepers. Who's to say that "Girls' School" doesn't get their feet tapping and the Scottish-bagpipe song "Mull of Kintyre" doesn't charm the pants off you. Wings haters must not be wearing pants. That'll explain it. This wasn't meant to be the end of Wings, but the end was in the stars. 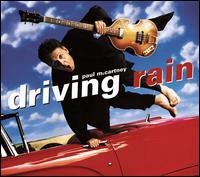 A year after this album's release, McCartney was infamously arrested and sentenced to jail in Japan for marijuana possession. Besides which, he was already thinking about spending time in Scotland to lock himself in a closet and record another McCartney-like album in which he plays all the instruments. Anyway, Back to the Egg has quite a bad reputation, but let me start by echoing the bad things the critics have been saying about this. This is a mightily uneven album, and there isn't even the presence of a super-strong song (like "Jet" or "Let 'Em In" or "Listen to What the Man Said") that he's usually good for. That is, unless you want to count "Daytime Nighttime Suffering" in the bonus tracks. Some of the material, most notably on the latter half of the album, is very weak and doesn't showcase McCartney's melodic gifts the way I know he's capable. At the same time, this is a creative album! Notably, looking at tracks like "Old Siam, Sir" and "Arrow Through Me," these are startlingly unconventional compositions, and they're quite a bit of fun too. Perhaps the song with the greatest pop potential is "Getting Closer," which has a nice (but not too memorable) McCartnian melody. This is actually a concept album (that McCartney half-heartedly seemed to pursue) that seems to be about picking up radio stations --- well, the only tracks that we get that are really radio related are "The Broadcast" and "Reception" though they are interesting in of themselves. The rest of the tracks are widely diverse --- maybe he's flipping through the stations to see what's next. Now, the diversity of Back to the Egg keeps it interesting even though the songs themselves might not be that great. It is certainly relevant to note that McCartney was also half-heartedly pursuing some New Wave music here and there. He has the spirit and the idea of the genre down, and he would have been more convincing if his melodic genius was completely with him. Anyway, these unusual ideas is what makes this album interesting. 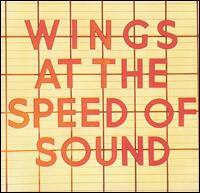 It's certainly not McCartney's best but it's definitely better and more enjoyable than Wings at the Speed of Sound. That's saying something, at least. What a weird freaking album. And not in the good way. Usually, I applaud whenever a musician makes an album that is loaded with wild and strange ideas, but not this time. 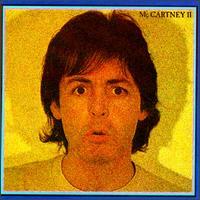 McCartney II is a mammoth disappointment. Holy donkey cheese. Where are all his hopelessly catchy melodies? The only actual infectious track in here is the Talking Heads-esque "Coming Up." The rest are poop. Right after that hit single, McCartney follows that up with "Temporary Secretary," which sets the tone for the rest of the album. It's annoying and weird ... overly repetitive without being trance-inducing. Songs like "Front Parlour" and "Frozen Jap" are completely instrumental ... not necessarily bad, but they're inessential and so throwaway that that's what you'd might as well do with them. The utterly non-convincing bluesy tracks such as "On the Way" and "Bogey Music" are far more annoying than fun. Even the two relatively normal ballads, "Waterfalls" and "One of These Days" are bland and boring. So, maybe Paul McCartney was wrong about locking himself in that water closet and coming out with McCartney II. Everything's forgiven after you hear this flawed gem! Right from the start, you hear the beautiful "Tug of War" that amazingly seems to even feature a full-scale orchestra without getting pompous. Hard to imagine Paul pulling off something like that, but after you learn that the song's producer is none other than George Martin (AKA the producer of most of the Beatles albums and often dubbed as "the fifth Beatle"), it's not too surprising it's there! He follows that up with a more imaginable McCartney tune with a catchy melody and highly varied development "Take it Away." That one has such a snappy tune that you can hardly forget it. Even more interesting is "The Pound is Sinking," which is a pretty strange song if you sit down and try to analyze it. I had a hard time coming up with a genre to pigeonhole it in, but it's ever resistant. For three minutes, that song seems to try everything. "Wanderlust" is just a beautiful song that takes a few hints from British Classical music. The melody is as gorgeous as the instrumentation, which almost even tops "Tug of War." Also, "Here Today" is another pretty song though far more subdued. It's a tribute to his fallen friend John, and possibly the most sincere song McCartney ever tried. "Ballroom Dancing" is a particular McCartney favorite of mine ... it's an extremely fun novelty song about *ahem* ballroom dancing. Despite all those gems I mentioned, this album is undoubtedly more famous for containing his hokey collaboration with Stevie Wonder in "Ebony and Ivory." I'm not a big fan of the song myself, but I do cringe whenever I see it toward the top of any "Worst Songs" list. Whatever that song's status, it's far better than McCartney's second collaboration with Wonder in "What's That You're Doing." That's a pointless, robotic funk song that goes on for six minutes and is annoying. Unfortunately somewhere in between Tug of War and Pipes of Peace, McCartney decided that he didn't care so much about being himself anymore. He just wanted to blend in more with the '80s adult contemporary scene to be "relevant" or whatever. It could be due to the unimaginable, massive success that Michael Jackson had with Thriller that contributed to the shift. That album famously featured McCartney in a few spots, and he could have misread that album's success as people telling him that he should go bland. Alternately, maybe it was just in the works! He already had a pretty disappointing electronic album under his belt, McCartney II, and Lennon's death could have prompted him to have one last hurrah (Tug of War) before he completely submitted to the '80s pop culture. I'm just piddling around up there. All you must know is that, for whatever reason, McCartney started to make pretty horrible albums in the '80s starting with Pipes of Peace. And when I say "pretty horrible," don't mean to disclude the fact that it has its fair share of gems. Let's point a few out... 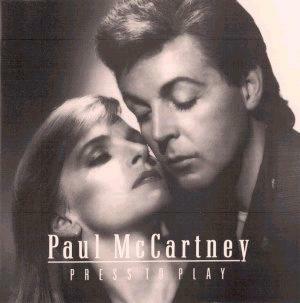 The title track is a surefire classic and one of my favorite McCartney tracks of all time. I probably get more pleasure out of "Average Person" than the average person, but that's only because I enjoy novelty songs! Speaking of novelty songs, McCartney goes absolutely NUTS in the bonus tracks with an odd little number called "We All Stand Together." It sounds like it belongs in a Disney cartoon, except it's too delightful for that. But anyway, let's get to what you've all clicked on this page for: The bad stuff. The first thing that needs to be said is that Paul McCartney and Michael Jackson do not make a good team. He co-writes and sings two of these tracks, "Say Say Say" and "The Man." Jacko fans might hope to prove their hero's superiority above everything in the '80s by absolutely ruling on this album --- but those two songs are pretty awful. Macca and Jacko are, separately, legendary pop songwriters, but combined they apparently turn into Diane Warren. The worst song of the bunch comes under the guise of experimentation. 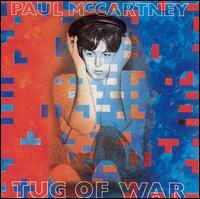 "Tug of Peace" is so uncharacteristic of Paul McCartney that I'm positive that one of his boogars would have thought of something better than that. One of my bowel movements might not have come up with a better melody, but it would at least know how to give it better orchestration. Heck, even Diane Warren would have come up with something better! It's unspeakably bad and unlistenable --- it's hard to even determine what he was going for! So, is this album worth owning? Not really. Just get the few brilliant tracks I pointed out. Thank goodness we have iTunes!!!!!!! I've said this before, and I'll say it again: Paul McCartney was known for his good ideas and his bad ideas. Whenever the man has a good idea, it can be positively earth-shattering! But when he has a bad idea, it can be utterly dismal. Give My Regards to Broad Street happens to be dismal. Damn dismal. This is a soundtrack to the film of the same name. I never saw it, and I probably never will (that is, until viewing it is convenient and curiosity gets the better of me). The vast majority of the material consists of re-recorded Beatles and solo-McCartney songs. That sounds like a bad idea already... Who wanted Paul McCartney to re-do anything? Come on man, leave your past alone! Making it more curious is he does nothing to change them. He does everything by-the-book. For all it sounds like, this was from a Beatles tribute band! Grrr!! He even re-records songs he'd written recently like “Wanderlust,” “So Bad” and “Ballroom Dancing.” These are also not-changed-much from the original versions. Why not just put the original songs in the movie and end it with that? This album is so pointless! At least “So Bad” was improved a bit from the original, but that song was so bad that it couldn't possibly get worse! And then there are the new songs, and only *one* of them is any good. Of course, that would be “No More Lonely Nights,” one of McCartney's signature tunes. It's a damn catchy ballad with sincere lyrics and a David Gilmour guitar solo to boot. It sounds like a typical '80s stadium ballad, but it's actually good ... you know, it contributes something lovely to the genre instead of blindly adhering to its cliches because you have no idea what else to do, and you want to make money. There are a few other originals. “Not Such a Bad Boy” is a trite though catchy rocker, which might be worth hearing once. Even worse is “No Values,” which is so derivative that it's hardly even bearable. You start to wonder how McCartney could be so comfortable with himself writing such ho-hum material! The instrumental “Eleanor's Dream” is a rather horrible extension of “Eleanor Rigby,” and it doesn't take a classical and cinematic music expert to figure out that McCartney vomited out all the cliches he could think of for that one. How could this guy have turned into such a dead-dull songwriter? He used to be one of the best! Nonetheless, this album still gets a relatively high score since I couldn't completely ignore that many of these songs are, indeed, “golden oldies.” You've got to expect that this is album enjoyable to sit through even if there's no reason to. Definitely spend you money buying the original albums these songs appeared on... and pay the 99 cents for “No More Lonely Nights” on iTunes. That should do it for you perfectly. I would never have guessed that Paul McCartney would ever be responsible for something so common. Really, this is not even be good enough to be called “common.” Even a typical '80s pop star, like Rick Astley, Phil Collins or Madonna, frequently sounded better than Paul does here. To make matters worse, I firmly believe that even Astley (certainly the worst of those three I mentioned) is more worth hearing than this! You know what that means, right? That means for one miserable moment in his career, McCartney let the SAW songwriting trio outshine him. Give us strength! 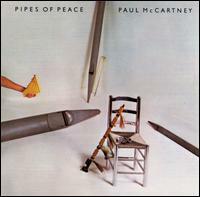 McCartney has been letting his music get bland ever since the '80s started, but even Pipes of Peace had a few shining moments like the title track, for instance. Give My Regards to Broad Street might been an unnecessary and lifeless excuse to revisit his old classics, but at least he delivered the riveting ballad “No More Lonely Nights” to make it seem worthwhile. Press to Play has no shining moment. There are no memorable tunes, and everything sounds so damn cold. The instrumentation is purely typical for the era (i.e. annoying synthesizer grooves, drum machines, non-melodies, etc.) and, I'd say, even comparatively shoddier. I could try to look at the rosy side of things and mention that not all of these songs are so miserable. The opening track “Strangehold” has an OK groove and a somewhat decent melody. It's too bland for taste, but it's fine to sit through. The follow-up is a Police imitator, “Good Times Coming / Feel the Sun.” The melody is trite and simple, but the groove is rather pleasant. “Move Over Busker” is a typical pub-rocker, and it's nothing more than that: bland but it'll keep your toes tapping. Arguably the best song on the whole album is “Only Love Remains,” an over-dramatic piano ballad that reminds me, subtly, of his former work. Saying nice things about those songs did require a considerable degree of force, though. I'd never consider listening to any of those again, and I hope you don't, either. I don't think anybody wanted McCartney to turn into another faceless '80s pop star who can't distinguish between a good tune and a kick in the pants. And here he was doing just that! The good news is he could only go up from here... Thankfully, he would. I reviewed this separately from Paul's regular studio albums with original material, at first, because I wasn't going to review it at all. Of course, I eventually changed my mind, but reviewing it separately was beneficial. This album full of hasty and throwaway versions of classic songs, mostly dated to the '50s, doesn't really need to be discussed within the context of his main discography. 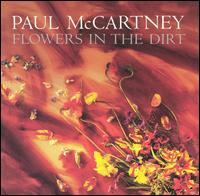 At least there was no reason to bring it up in my Flowers in the Dirt review, which Paul started working on after recording this. CHOBA B CCCP is the Russian translation of Back in USSR, the only country in which this was released in 1988. Russian letters look weird, and I'm grateful that this one only uses characters that are in common with our Latin alphabet. I understand that the worldwide release contains a horrible misprint, though. Some dork probably got reprimanded, but in the end it serves the Russians right for having a funny alphabet. The reason McCartney wanted to recorded this hasty covers album was so that the people of Russia would have something of his that nobody else did. Apparently, the Russian people loved him, but they didn't have access to his discography. (So intense was this national alienation that I wouldn't be surprised if that's why the government fell shortly later. Someone should have told the Russian government that McCartney and McCarthy are two entirely different people.) As is in the nature of these things, his Western fans wanted to hear this album too. 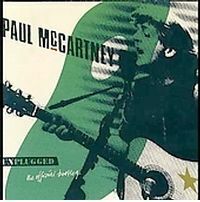 Bootlegs started circulating, so McCartney decided to give it an official worldwide release in 1991. This album was a one-off, so I don't feel the need to go to endless lengths discussing it. Despite a few of its nice attributes, I don't think this is an album that anybody other than undying '50s music fans should own except, of course, for album collectors who like to complete discographies just for the sake of it. Anything this hastily made by mostly average performers (apart from the singer) doesn't scream to be played frequently. Part of the credit for this resurgence was McCartney's decision to team up with Elvis Costello for songwriting duties, and they both duet on “You Want Her Too.” I can't say I had a longing to hear what the combined forces of those two factions would've sounded like... and after listening to this album, I can't say I have a longing to hear it again! ... Er, sorry, I'm being too cynical, so let's talk about the album's highlights!! The album opens with the enjoyable “My Brave Face.” A song with instrumentation and production standards that can be dated straight to the '80s, but the melody is quite good. Despite this mainstream radio treatment, the instrumentals actually seem well-engineered --- like Paul McCartney actually cared what the song sounded like in the end. That's never a bad thing. “Distractions” might seem somewhat lightweight on the surface, but I admit to being entranced by it. It's a simple tune with a pretty vibe. It's the sort of thing you'd like to hear while soaking up some rays by the pool (not that I ever do such a thing ... I'm talking in metaphors). “Put it There” is another substantial highlight. It's a two-minute ditty with a simple melodic idea and nothing more. It reminds me of those good old days when McCartney's albums seemed filled to the brim with two-minute melodic ideas! Oh yes... the old days... those were good old days. “Figure of Eight” is pretty good except the chorus is vastly more memorable than the rest of it. That's just another reminder that Paul had a ways to go before he'd re-realize his gift for innovative, engaging melodies. If it's a reminder you're looking for, prepare to be hit over the head with a porcupine-quill-ridden brick when you turn on “Motor of Love.” Its sounds like he listened to True Blue by Spandau Ballet, thought it was good and attempted to actually write a song like them. All I can say is maybe it was time for him to lay off the pot and return to reality. Not as bad, but still atrocious was “Don't Be Careless Love,” a depressing attempt to give Whitney-Houston-style R&B a go. I hope Paul never tries to sound like an R&B singer again. 'Nuff said. “Ou Est Le Soleil” was a bit of a treat for anyone who bought the CD version of this album. (Sorry, vinyl aficionados, but you're going to be stuck with “Motor of Love” as the album closer.) It's essentially a late '80s sounding groove, but it's a fun one with a number of sound effects refreshing the thing. It sounds like McCartney was starting to enjoy his work again, which was a promising sign. ... Er, I guess the CDs you'd buy nowadays would feature three bonus tracks, but I feel like forgetting those exist right now. The most unfortunate fact of them all is this album lacks a great single like “No More Lonely Nights” or “Pipes of Peace.” While some of the songs are formidable, I can't even recommend purchasing any of these tracks from iTunes. Except for the purest McCartney fan, I would say this album is worth $3.99 at a thrift shop. That's something at least. What the hell is an “official bootleg?” I'm supposed to feel guilty for owning bootlegs, because the artist never sees a dime for its sales. But now, I guess, since this bootleg is official, I can feel officially guilty. This was actually a part of MTV's Unplugged series. It was a television event in which musicians that rely on electronic instrumentation have to unplug their instruments and play acoustic. 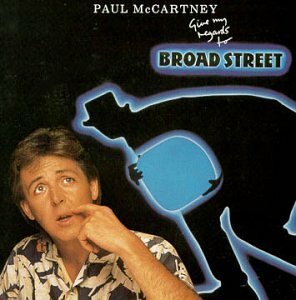 While McCartney appeared on the show a number of years after it first debuted, series organizers contest it wouldn't have been so popular through the '90s if it wasn't for McCartney and this album. This album is a lot like COBBA B CCCP for more reasons than one. 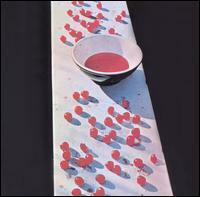 Something you probably already noticed is the cover art, which was a design by Linda McCartney. For some unknown and probably twisted reason, they even preserved that Russian star on the guitar. Another similarity is many of these tracks are old '50s covers ... Paul took this as another opportunity to explore his roots. YET ANOTHER similarity is his backing band isn't that great. Although I surely think the instrumentals have improved overall. There are differences, of course. The obvious one is this is acoustic! Also, half of these songs are ones that McCartney actually wrote. Interestingly, I would have expected he would want to do more of his recent material, but the latest song he performed was written in 1970 just when he launched his solo career. Wow! I can't say I've heard a prolific aging musician do that before on a live album! There's a plethora of Beatles material, also, which I'm sure the album wouldn't have been as popular without. There are lovely renditions of “Blackbird,” “And I Love Her” and “Here There and Everywhere,” but all and all these covers seemed a bit lacking to me. I don't think he spent much time rehearsing this (evidenced by the fact that he had forgotten the words to “We Can Work it Out,” and he opted to start over). Perhaps the only true song-of-interest here is “I Lost My Little Girl,” something McCartney identifies as the first song he ever wrote. It's nice that he would pull something like that out for us! Of course, it's not a great song, but you wouldn't expect it to be. It's simple and catchy, though, and it proves that Paul had gleaming talent right from the beginning. Another major difference between this and CHOBBA B CCCP is this is an actual live album. This was a polite audience, the sort that was probably sipping champagne instead of chugging beers. Paul takes a number of moments to interact with them. One moment, he asks them all to yell “woo-hoo” a few times... There's that an more utter goofiness strewn all throughout. You wouldn't have expected anything else from him, but there are a number of times where I get the impression that he spent sometime backstage sucking helium before coming on stage. What a silly, silly man. I'd probably characterize this as another “throwaway” album and one that most people don't need. I probably won't be putting this album on very much to hear in my “leisure time,” but I mildly enjoyed this release. It'd be a nice addition for the collection of a Beatles fan and McCartneyphile. Thank heavens, Off the Ground is yet another resurgence of quality that was slowly helping him ascend from the murky depths of Press to Play. In fact, I'd even consider this a formidable attempt to get out of the murky depths of Flowers in the Dirt. Out the windows were his attempts to sound mainstream (I heartlessly remind you of that time he was pretending to sing like Whitney Houston). All McCartney was caring about was the songwriting. Thank you. That's all we wanted to hear outta you right from the damn beginning of the '80s! ...Nonetheless, there is still a little bit to be desired. Despite the pangs of taste, the actual melodies are still a far cry away from returning his quirky old days. For the most part these melodies seem like empty albeit pleasant exercises. Put this album on and it's guaranteed that you'll be mostly pleased, but don't expect to be moved ... or find anything that memorable, for that matter. The title track sure opens the album on a great note. The melody is among the album's best even though it's hardly another “Band on the Run.” Its unusual rhythm section consists of a series of clicks and hand claps, which is what makes it stick out. It also features polished though grunge-ish guitars, which suggests that Paul was still paying attention to current trends but not blindly following them. After that, there's “Looking for Changes,” an ordinary boogie-rock tune but with a few nice touches to keep it relatively unique. “Mistress and the Maid,” a collaboration with Elvis Costello (who also contributed extensively on Flowers in the Dirt), is one of the album's sheer highlights thanks to a melody and smart arrangements. It features an attractive mix of silly synthesizer sounds, trumpets and organic acoustic guitar sounds. An important point to consider is that nothing on this album bombs. Every single one of these tracks are of a certain quality that you can expect to be reasonably entertained by everything. That's also evidence that there was a definite and conscious attempt of him to start making enjoyable, good music again. That means McCartney fans should assuredly find the time to own this album even if they might not get the constant desire to listen to it. It's a nice thing to visit occasionally. While I like many of these melodies and a few of them fondly recall the old days, I can't help feeling that many of them are bland and generic. Some of the songs are unapologetically generic, as a matter of face. “Used to Be Bad,” for example, is as straight R&B as it gets ... and the album contains a few others like those. While these aren't the most inspired works he could have written, I'd say they're about as fun as listening to as the R&B cover albums he released in this era of his career. Probably the most boring song of the album is “Little Willow.” It sounds cutesy just reading the title, and lemme tell ya... it puts me to sleep! Let's talk about the good stuff now, which surely outweighs the bad. “The Songs We Were Singing” opens the album on a nice note. It sets the mood for the whole album... it's a simple, straight-forward song with instrumentation mostly consisting of an acoustic guitar. The second song, “The World Tonight,” is wonderful though. McCartney wrote an addictive groove and even gave us some of that legendary bass playing! The melody is catchy, the mood is laid-back and the song is a joy to hear. “If You Wanna” is a similarly paced song with a similar mood, and it's equally as good. “Young Boy” is another happy ditty without any other ambition except to be just that... after hearing so many of his '80s albums, this new mentality is incredibly welcome. As nice as those songs were, he saves the real gem for the end. That's “A Beautiful Night.” I had forgotten that I bought this album in 2001 (I think it was my second McCartney purchase), and I used to love that song. I had forgotten about it. Revisiting it after so much time made that an especially pleasant experience. That song starts out as a piano ballad and slowly metamorphoses into something more bombastic. It's quite a ride. Many of these songs, especially in the mid-section, are strictly take them-or-leave them. 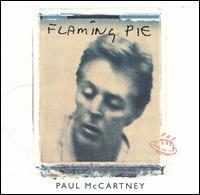 For some reason Flaming Pie is one of the more controversial albums in his discography. Some call it the best release of his career. Others call it one of his worst. I guess that leaves me somewhere in the middle. While this is far from being the purest concentration of good moods and melodies in a McCartney album, this is the closest he got to it for awhile. Paul McCartney was going through a difficult time, and he wanted to record a covers album to help him through the process. 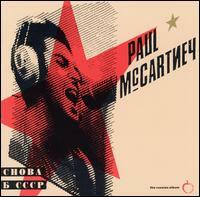 He was no stranger to covers albums --- CHOBBA C CCCP was recorded 11 years previously, and Unplugged was half-covers. However, as opposed to the off-the-cuff, informal attitudes and average musicianship presented in the previous discs, McCartney gathered famous musicians (David Gilmour on guitar, being the most famous) and spent time polishing them in the studio. It should be good times, right? Well, no. I find this whole experience disconcerting and tiring. All of these tracks are technically fine and occasionally enjoyable, but there isn't even a single moment when this disc stops being mildly enjoyable and ROCKS. In the end, this just seemed like an empty, cold and uninspired album that I'll probably never listen to again. Its value as a therapeutic exercise for Paul can't be understated, and I'm glad that he found something that helped him pass the time and that it involved making a new album. But that doesn't mean I have to like it! The music press sure liked it, though, giving it glowing reviews at the time... I'm guessing they did that just because it would be in bad form to pan the work of a grieving man. Or maybe they genuinely liked it! I never know what those guys are thinking. In fact, I don't even think they know what they're thinking. Just to prove what a jerk I really am, I like CHOBBA C CCCP and Unplugged more than this. I find McCartney's silliness and charm expressed in those albums very appealing. I certainly don't like any of those albums for the boring '50s covers, so Macca giving goofy Elvis impersonations and yelling “Woo-hoo” was all that I had! The man having himself a grand old time. Here, he's being serious as hell, and sounding very cold and distant in the process. Bluh. McCartney wrote three original tunes here that were designed to blend well with the covers. Because of that, they probably rank as some of the most generic songs in his discography ... but, since it was on purpose, we can forgive him. The title track is probably the highlight. Paul sounds like he's giving the most boisterous performance his aging vocal chords could allow, and that certainly had value. But, it's not very memorable. You can guess what “Try Not To Cry” is about, and it's hard not to try to sympathize with him, but it's a monotonous song and rather tiring to listen to. I won't mention any of the other tracks since there aren't any real highlights, unfortunately. Despite my negative comments, I've been sitting through this disc politely, and I found no compelling reason to hate it. As I said, technically it is a good album, and if you're big into the '50s and like Paul McCartney, it might not be a bad thing to check out yourself. Unfortunately, I found too few reasons to appreciate it, and unfortunately this is one of the least inspiring works of his career. “Lonely Road” opens the album, and you can immediately hear the benefits of the expensive song production that he used. Hear all those layered guitars! All of that plus the nice melody ans complex song structure makes that an interesting song! Paul's singing his heart out there, which adds even more to the appeal. “From a Lover to a Friend” is a wonderful song with intricately produced twinkly pianos at its heart, which provides most of its alluring texture. “I Do” marks a return to the sweet ballads that he used to write all the time in the '70s, which is surely reassuring. Furthermore the elaborate production, which includes a glockenspiel, timpani, tuba, trumpets, etc., made me like it. Surprisingly, despite my description, it's not that bombastic. Perhaps the most surprising addition to the album is the 10-minute jam “Rinsing the Raindrops” at the end. Instead of sounding boring and pointless, this is a surprisingly engaging exercise in evolving textures. But along with the finer moments comes just as many mediocre ones. “She's Given Up Talking” might feature intricate arrangements, but it's surprisingly empty and void of interesting melody. Listening to it, you might be surprised McCartney would've tried something so atmospheric, but it seems empty. “Tiny Bubble” is a likable song, but it seems unsettlingly routine. “Spinning on an Axis” had a similar problem. While it's not completely boring, it's average and ultimately rather unmemorable albeit it features a pretty good vocal performance. Indeed, while this might be a very good album, the biggest flaw is easily that McCartney seems rather disconnected with this work. There are plenty of times in which McCartney didn't seem like he was acting enough like his old charming self. That's one thing that Flaming Pie has over this release. It also had a very small handful of better songs, such as “Beautiful Night.” The material on Driving Rain is overall more consistent, but there isn't a moment here that sticks out and mercilessly grabs my ear like that. Oh well. When I wrote a review of Chaos and Creation in the Backyard the month it was originally released for my college newspaper, the headline read “Macca is Backa.” Nothing could have been more appropriate. Listening to this album for the first time, it was like I saw Elvis return. The moments before I put this on, I hoping for, at best, something as likable as Driving Rain. But what I got instead was a work of art that seriously rivals anything else from his career. Seriously, the album is that good. This isn't only his best album since Tug of War, but this is his best album since Band on the Run. That's talking serious business. To get even more smarmily melodramatic about it, this is the beginning of the McCartney Renaissance! I might be alone in this overwhelmingly positive assessment, but that's why I'm better than everyone else. When I put on Chaos and Creation in the Backyard, I'm dazzled by its wealth of melodies and a vast array of treasurable moments. And I want to listen to it again, again and again. How did McCartney find his mojo again? The credit seems to be directed at Nigel Godrich, a famous Radiohead producer, who actually had the gall to tell McCartney to his face that sometimes he has bad ideas. I doubt he had such negative feedback ever since The Beatles days. This reportedly sent McCartney back to the drawing room, and he had to spend more time to fully fleshing out his melodic ideas and make them more challenging. I guess all he really needed was someone this brave and brutally honest ... and he beat the best out of our favorite Beatle. I'm not much of a Radiohead fan, I mus admit, though that could change. Godrich is certainly an excellent producer. The music seems beautiful without ever coming across as overblown -- it's both humble and amazing at the same time, an impression that I hadn't heard from McCartney ever sense the holy Ram album that I love so much. Godrich even convinced McCartney to play most of the instruments himself, which is always an amazing thing to behold when you sit through such an album. How can one guy be this talented? There are a number of outside performers, but this is all McCartney for the most part. What about the album's weak spots. There are no weak spots. From beginning to end, there is absolutely nothing that strikes me as less-than-excellent. 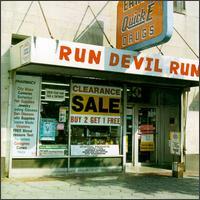 I can't even truly say that about Band on the Run even though this album obviously lacks so many of that classic album's *great* moments. Yeah, I know I'm coming off as some sort of rabid fan, but McCartney really earned it here. I should warn you that you're probably not going to like it as much as do. But, I say, if you like even half this much, your time was well-spent. Today, Memory Almost Full seems to be most notable for being the first album to be released on Starbuck's new music label. It's my hopes that, in the future, it'll be much better known for just being an album full of fantastic pop songs. This isn't his best album, but it's quite clearly up there. Much of this was apparently recorded before Chaos. Who knows why he shelved it. I guess McCartney was wanting to honor the 15th anniversary of McCartney II or something. At any rate, it's wonderful this album was released, 'cos it's very good. The most out-of-place song here is surprisingly "Dance Tonight," which was released through a fairly popular music video on YouTube. It's rather minimal and 100 percent pleasant. Somehow it still manages to be quite an endearing experience, and I'm glad that it's included here. But right after that, there's "Ever Present Past," one of his best straight pop-rockers in years. The bass guitar there is absolutely amazing... I guess that proves that McCartney's reputation as one of the greatest bassists of all time wasn't for nothing. The vast majority of these songs, such as the fabulous "Mr. Bellamy" and "Only Mama Knows" contain such varied textures with wild and enchanting song development. Geez, this album definitely isn't boring that's for sure. I mean, don't expect Metallica or anything --- this is good ole Paul McCartney --- but every track sounds like he cared about it. This is an interesting album and there's nothing that even approaches throwaway status. The variety throughout the album is definitely worth noting. A few songs sound quite a bit like Beatles throwbacks... I have no difficulty imagining "Vintage Clothes" to have been written for Abbey Road and "Nod Your Head" is nothing if it isn't a tamer version of "Helter Skelter." (Well, he's reducing it to merely nodding the head, ya know.) 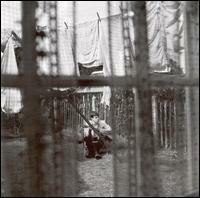 Like Chaos and Creation before it, this album very much sees Paul looking back to his past. That said, there's also a little bit of looking toward the future with an oddly optimistic song about his death, "The End of the End." The production is utterly wonderful. Everything's in their proper place, and there's very little that sounded like a bad instrumentation idea. All you need to hear to prove this point is the true gem of the album, "House of Wax." It's refined but somewhat unusual if you pay close attention to it, and it is some of the finest studio work ever to bear the name "Paul McCartney." It's really fabulous. The one complaint I have with this is that the melodies aren't always perfect. Certainly, I'm basing that from his already established reputation of being one of the finest songwriters of all time! These melodies are much better than most songwriters can ever make them. However, this is a minor shortcoming that's worth noting. I don't wish to tout this album as some sort of great masterpiece, but it's certainly a distinguished and entertaining work. This isn't McCartney's best work, but it certainly approaches that territory. I remember the moment that I first saw the announcement Paul McCartney was going to give a Seattle show. I gasped. As you may know, I'm a huge Beatles fan and I go to a lot of concerts. 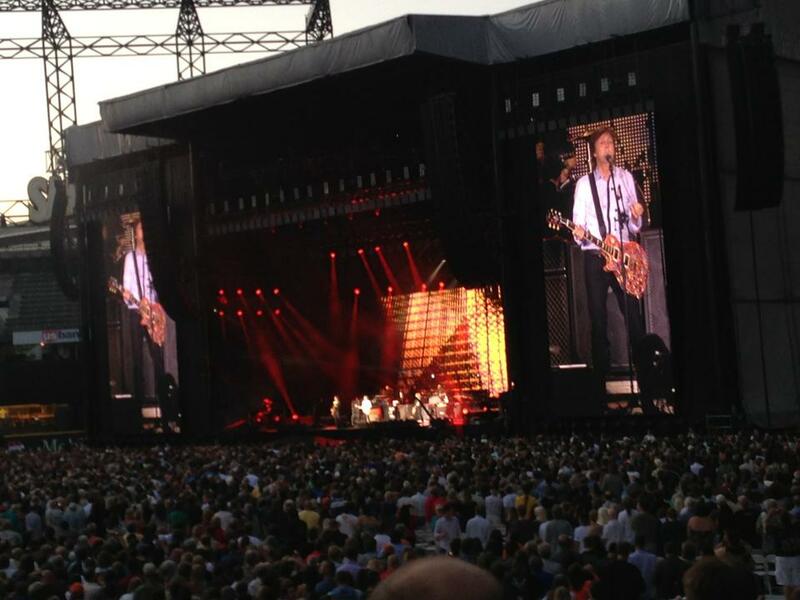 As a result, Paul McCartney was on top of my concert-going bucket-list. Next time he was in town, I had vowed, I was going. Maybe I'd even have gone out of town see him, as I nearly did once in 2005. I would've done it then, too, if I wasn't too slow buying tickets. I knew I was going to have to be quick this time; it was only going to be a couple days before they went on sale, and I knew at that very moment flocks upon flocks of scalpers were circling those nearly-for-sale Paul McCartney tickets like vultures circling around a herd of nearly dead buffalo. The 30 minutes that lead up to these tickets going on sale was giving me the exact feeling I used to get in college 30 minutes before an exam begins that I'm not confident about. Moreover, these tickets went on sale while I was at work. And (*gulp*) normally I can get away buying tickets without getting caught at work. But this time, at that particular moment, my lead was trying to talk to me about some boring work-related topic while I was waiting anxiously for the ticket page to load, and ... Well, I was caught! “You're buying concert tickets, aren't you?” he said to me. “I'll talk to you when you're ready.” ...Nothing happened to me, of course except that I was embarrassed. When I tried buying these tickets, it felt like I wasn't going to be successful at all, because the system had been bogged down so much. When I selected a ticket from the website, it would give me an error. This happened because I was competing with those Pro League scalpers, who were quite busy devouring those buffalo, who had just died seconds ago, clean to the bone and sucking them dry as fast as the system would allow them. Try as I might, I was always getting an error. I thought maybe something was wrong. And then I made the ultimate mistake: I refreshed the page. Never, ever, when you're buying tickets to an event like this, refresh the page. Ever. It will take five minutes to load again. I was supposedly participating in a “fan pre-sale,” except it wasn't really a fan pre-sale. Because surely enough I checked on eBay as soon as 30 minutes after buying my tickets and saw that scalpers were already reselling them, for--literally--thousands of dollars more than their face value. These people weren't even from the Seattle area; they buy tickets all over the country. ...This is a travesty, of course. Why not require a photo ID for fan pre-sale tickets, even if the logistics of that might be complicated? Well fortunately the system was such that I still had the chance, even though I refreshed the page, so what I ended up with were three tickets for a little over $100 each. There was one for me and two for my parents. The venue was SafeCo Field, the baseball stadium where The Mariners lose all the time. (Well, I'm a year late writing this review, and the team has started winning. But that notwithstanding...) If I were actually watching a baseball game, those would have been great seats--between home base and first. However, they were so far away from the stage that McCartney looked the size of an actual beetle. And that wasn't even one of the larger varieties of beetle. He was a ladybug. ...And that wasn't even a fully grown ladybug. He was a baby ladybug. So, this was the concert event I was looking forward to more than anything else that year, apart from possibly Sparks. Although whereas Sparks was an extremely low-budget affair, this Paul McCartney concert was massive. Adding on to the epicness of this, I had come to this concert already exhausted from having gone to another concert the night before. David Byrne & St. Vincent. But even if I hadn't gone to a concert the night before, going to this event was exhausting. What helped cull a lot of the madness was our decision to arrive extra early--by a few hours before the doors opened. That let us snag a parking spot while good ones were still available. We parked adjacent to the stadium. What we did with that extra time was ... have some dinner! It was a fish place! There were lots of other people who had that same idea, but we were earlier than most of them. The place was somewhat empty when we arrived, and it was jam packed when we left. We were told we only had 1 hr and 15 minutes to eat, because they don't want people just hanging around waiting for the show to start. Outside the stadium, it was mad. They hadn't opened the doors yet, and the sidewalks were lined with people. It was the longest queue I've ever seen. Thick hordes. It was a serious infestation. In our quest to find the end of the queue, we passed by quite a few street performers, such as a raggedy man with a stereo blaring out Beatles songs behind him that he would accompany, bashing away noisily at a massive, lavish trash-can drum kit. When I heard him at a distance, I thought maybe McCartney was doing a sound-check... But no, it was that tireless trash-can drummer. Godspeed, good sir. I didn't tip him, though. The funniest (also, scariest) thing I saw was on the street corners--loudmouth preachers grasping bibles and literally thumping on them, screaming at the nonspecific everyone trying to walk around him. I wanted to yell in his face to shut up and get out of the way just to see what he would do. But I didn't, because I'm chicken. 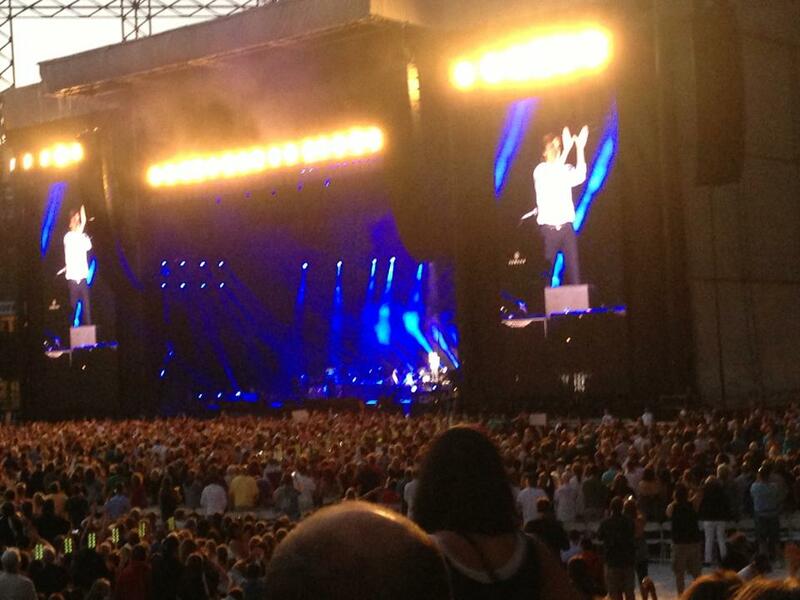 Besides, the man was probably right anyway: anyone who goes to a Paul McCartney concert is a sinner and should repent. The preacher's quieter cohorts held up picket signs that were plastered with blunt slogans about how all of us are likely going to hell. Well, heaven, hell, I'll go where the music is! I guess the street preachers weren't savvy enough to know it was actually John Lennon who said all that stuff about being “Bigger than Jesus.” But that's just an insignificant detail, right? Did these guys really know why they were burning Beatles albums in the '60s? Anyway, we'd managed to find the end of that queue. I can't remember how, but we found it. So we stood there and waited. And waited. We were there for about 20 minutes and the queue grew behind us like a fairy-tale bean stock. I noticed a couple came from out of nowhere and stood right next to us. They started talking to us as though they were standing there all along! ...Hey! I know you weren't there before! Don't act all nonchalant with me! Of course I didn't say that, because I am a chicken. And it didn't actually end up mattering anyhow, because about another 20 minutes after that, side gates opened all along the perimeters of the stadium where there stood employees armed with ticket scanners. Of course the stage was a behemoth. It would have had to have been. 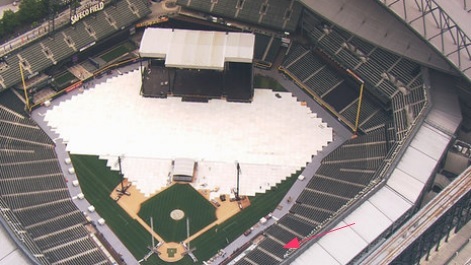 It was a temporary structure in the back of the outfield of a major league stadium, after all! The Seattle area has many existing structures that musicians perform in all the time but not one of them was big enough for a Paul McCartney concert. The structure towered several stories high. What seemed like rows of fifty spotlights were situated on the ceiling. Was the show about to start? At some point it seemed like most people had taken their places in their seats, that stadium was RIDICULOUSLY CROWDED. The air was riddled with anticipation. Then, it seemed like the loudspeaker music was getting louder. I also had slowly come to notice that it was playing some kind of fanfare, music similar to the closing bits of Abbey Road. Then, the stage lights dimmed. And the place was flooded with cheers. Quickly, an army of musicians--one of which was PAUL McCARTNEY himself--populated the stage. The cheering, quite naturally, got even louder. Hm! Sometimes big rock stars like to have their band play a groove for a little while before they make their grand entrance. ...But not Macca. He's way too cool for that. He came out at the same time as everyone else and immediately started waving at people. He wasn't going to fool around. ... Now, regarding “Junior's Farm”: Nope, I wasn't in the mood to question anything regarding the set-list, nor should I have been. They would end up playing a grand total of 39 songs at this three-hour concert. I was mesmerized the whole time, watching a micro-sized Paul McCartney in the flesh performing songs I've been listening to and loving for years. And besides. I like “Junior's Farm.” Really. I do. “Listen to What the Man Said” was among the first songs he played, which stirred some deep memories within me. Right when I started getting into pop-rock music, it was in the late Spring of 2001. It was right before I graduated from high school. Beatles albums were the first albums I've ever listened to. Only a few weeks after buying my first Beatles album, I downloaded (from Limewire!!!) a copy of the then-recently-released compilation Wingspan. And I loved it. I remember my parents were giving me $300 that spring (for college!) to weed their MASSIVE flower garden. I was listening to Wingspan a lot then. The first song from that compilation is “Listen to What the Man Said,” and the song still makes me giddy every time I hear it, and takes me right back to my childhood home. ...Isn't it amazing how music does that? It makes me remember something fondly, even though I strongly associate it with something as menial and miserable as pulling weeds (especially in dry Kansas where the soil is hard and cracked)? Anyway, he played an even mix of Beatles songs and solo songs. Although he didn't play anything from Ram! Why didn't he? That's the only real complaint I would ever make about the show. ...However, there was “Maybe I'm Amazed!” And I was amazed! Hey look, I took some photos with my iPhone. Somehow he got along without playing “Michelle” or “Penny Lane!” Any other person who wrote songs as big as those would be obligated to play them at every concert. But McCartney's catalog is so overloaded, he could have gone on for another three hours and still missed some of the essentials. The show was scant on material made after 1975. I wouldn't have minded hearing something from Chaos and Creation in the Backyard or Memory Almost Full! But understandably, a lot of people in the audience probably never even heard those albums. He only played “My Valentine,” from his latest album. Oh! He also did a tribute to George Harrison by way of a gentle rendition of "Something." That's probably my favorite tune from Abbey Road, so of course I mouthed along the lyrics with him--even if I might have been moving my lips only slightly. We all know that “Live and Let Die” is one of the most epic pop songs ever written. So it was only appropriate that the song would be accompanied with pillars of flames and fireworks. I remember being shocked when the fireworks started going off. I wasn't expecting it. It bright, loud, and dazzling. ...They weren't necessarily musical, as such, as they created a heavily echoing cacophony in that stadium, but nonetheless, they were very cool. By the way, the chorus to “Live and Let Die” comes around twice. Somehow, I was equally as shocked when the same intensity level of fireworks started going off again! You mean, they only used half of them the first time? They opened the encore, appropriately, with a song McCartney had recently written with these guys called “Cut Me Some Slack.” I don't like that song as much as a Beatles song, but it was grungy and loud! It had a whole lot of electricity going through it. And with that, the concert regrettably came to an end. Paul McCartney said to all of us “See you next time!” over the loudspeakers, which ... well, I don't think anybody is counting on Paul coming again, but if he does I'm sure many--if not most--of us will be back. And then, it was off to try to leave the stadium, which was crammed with people who had the same idea. It was tough getting out of there. The people were barely moving. To make matters worse, I somehow got stuck behind a slow old lady who was moving even slower than everyone else.